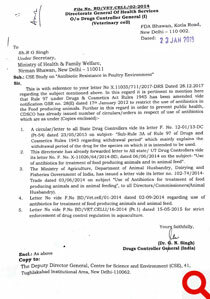 New Delhi, August 31, 2017: Misuse of antibiotics in poultry farms is leading to a proliferation of multi-drug resistant bacteria. To make matters worse, these bacteria are now spreading in the environment because of unsafe disposal of poultry litter and waste in agricultural fields – this has a potential to infect human beings: says a new study from Centre for Science and Environment (CSE). 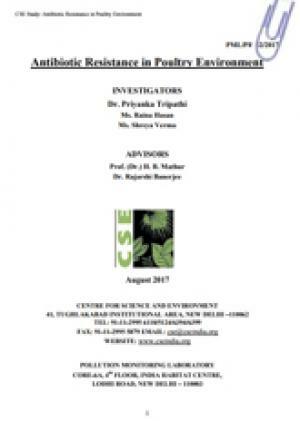 The study – titled ‘Antibiotic Resistance in Poultry Environment’ – conducted by CSE’s Pollution Monitoring Laboratory, collected samples of litter and soil from in and around 12 randomly selected poultry farms. These were located in four key poultry-producing states in north India – Uttar Pradesh, Haryana, Rajasthan and Punjab. A total of 217 isolates of three types of bacteria – E. coli, Klebsiella pneumoniae and Staphylococcus lentus – were extracted and tested for resistance against 16 antibiotics. Ten of these antibiotics have been declared Critically Important (CI) for humans by the World Health Organization (WHO). The poultry farms identified by CSE for this study are spread out across 12 different clusters in nine districts. CSE researchers found that antibiotics were being used in these poultry farms, and that the litter was used as manure in neighbouring agricultural lands. As a control, the study also collected 12 soil samples at a distance of 10 to 20 kilometres from the respective farms, where the litter was not being used as manure. If any bacteria are resistant to antibiotics of at least three classes, they are considered as multi-drug resistant. The study found that 100 per cent of the E. coli, 92 per cent of Klebsiella pneumoniae and 78 per cent of Staphylococcus lentus isolated from the poultry environment were multi-drug resistant. About 40 per cent of E. coli and 30 per cent of Klebsiella pneumoniae isolates were resistant to at least 10 out of 13 antibiotics against which these bacteria were tested for resistance. Also, both E. coli and Klebsiella pneumoniae had very high resistance to antibiotics of critical importance to humans such as penicillins, fluoroquinolones, third and fourth generation cephalosporins and carbapenems, which is a last resort antibiotic used in hospitals. “In humans, E. coli and Klebsiella pneumoniae cause infections which are becoming difficult to treat due to high resistance. Disturbingly, we found very high resistance in E. coli and Klebsiella pneumoniae isolates from the poultry environment. In some of the isolates, all antibiotics that we tested were ineffective. If these bacteria infect a human, then hardly any medicine will work as cure,” said Bhushan. The study found strong similarity in the resistance pattern of E. coli from the litter and from agricultural soil in the surrounding areas where the litter was used as manure. This similarity was statistically established by the study. 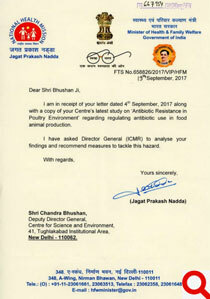 “This indicates that the multi-drug resistant E. coli being created in the poultry farms is entering the environment through litter. From the agricultural fields, these bacteria can go anywhere – into groundwater and food – and can infect agricultural workers and animals, thereby becoming a public health threat,” says Amit Khurana, senior programme manager, food safety and toxins team, CSE. The CSE study recommends controlling rampant antibiotic misuse as the most effective step to contain spread of resistance from farms. Further, it recommends that the Ministry of Environment, Forests and Climate Change along with Central and State Pollution Control Boards should play a greater role by enacting necessary laws and standards as well as ensuring regular monitoring and surveillance. “There should be complete prohibition of disposal of untreated litter into the fields and use of litter as feed in aquaculture. Less risky manure management options – such as bio-gas generation -- should be promoted. Composting should only be done if other options are not available. This too should be done under a high degree of supervision, supported by adequate laws on site approval and process validation,” said Khurana. “We now have a National Action Plan (NAP) on Antibiotic Resistance. The NAP addresses the issue of misuse of antibiotics in poultry farms as well restricting the spread of resistance in the environment. The NAP must be properly supported and funded by the Union government. The bottom-line is that we must eliminate the use of antibiotics as growth promoter in the poultry industry. Antibiotics should be used as a last resort to control the disease. This is the only way we can reduce the creation and spread of antibiotics resistance,” adds Bhushan. A total of 217 isolates of three bacteria were identified, out of which 187 were from poultry environment which comprised samples of litter, poultry farm soil and agricultural soil where litter was used as manure. The remaining 30 isolates were from control soil samples. 62 isolates of E. coli, 65 of Klebsiella pneumonia, and 60 of Staphylococcus lentus were identified from the poultry environment. There were no E. coli in control soil, which had nine isolates of Klebsiella pneumonia and 21 isolates of Staphylococcus lentus. At least 10 isolates were derived from each farm its vicinity. Average isolates were about 15. Sixteen antibiotics from 13 classes were selected based on use in poultry and importance to human health. These included 10 antibiotics from seven critically important classes as per the WHO. In the case of Staphylococcus lentus, susceptibility was tested against all antibiotics. However, in E. coli and Klebsiella pneumonia, 13 antibiotics were tested. Clindamycin, linezolid and azithromycin were not tested as no standards were available. 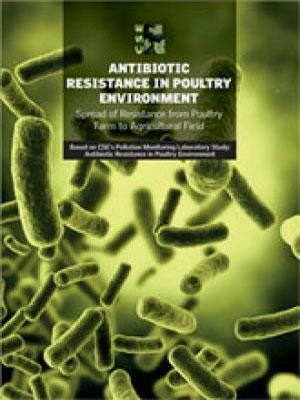 High level of multi-drug resistance was found in all three bacteria from poultry environment samples. For example, all E. coli, about 92 per cent of Klebsiella pneumoniae and about 78 per cent of Staphylococcus lentus were multi-drug resistant. All 62 isolates of E. coli were resistant to meropenem, which is a last resort antibiotic used in hospitals. About 40 per cent of E. coli and 30 per cent of Klebsiella pneumoniae were resistant to at least 10 antibiotics. No antibiotic was effective in two E. coli and 10 per cent of Klebsiella pneumoniae. Also, both E. coli and Klebsiella pneumoniae had very high resistance (>70 per cent) to antibiotics of critical importance to humans such as penicillins, fluoroquinolones, carbapenems and one of the tested third and fourth generation cephalosporins (cefotaxime). E. coli also had a very high resistance against co-trimoxazole. In both bacteria, high resistance (50-70 per cent) was found against cefuroxime and ceftriaxone and low resistance (<30 per cent) was observed against tested aminoglycosides such as amikacin and gentamicin. For S. lentus, high resistance was found in clindamycin, a lincosamide and azithromycin, a Critically Important (CI) macrolide. In the case of co-trimoxazole and antibiotics belonging to other CI classes such of penicillins and fluoroquinolones, resistance observed was in the range of 30-50 per cent. 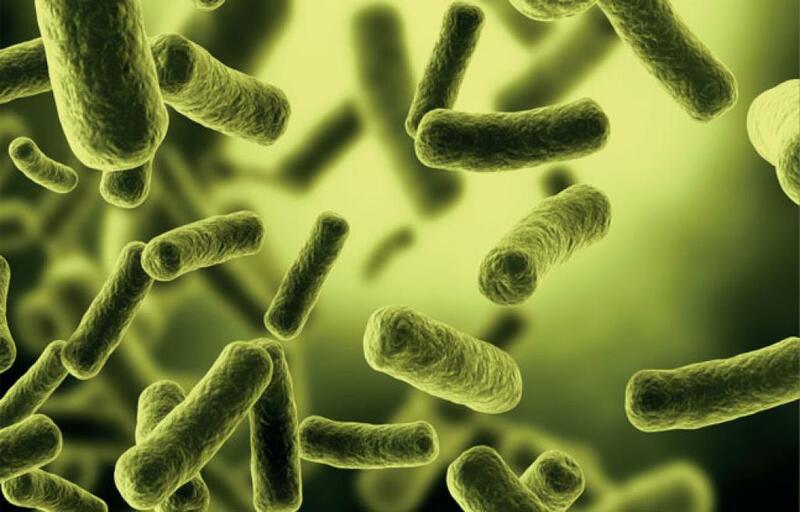 The bacteria had low resistance to chloramphenicol and tested CI antibiotics belonging to carbapenems, oxazolidinones, aminoglycosides and third, fourth and fifth generation cephalosporins. About one-fourth isolates of S. lentus were resistant to at least eight antibiotics. A very strong statistical correlation (p value of 0.08 and Pearson’s correlation coefficient r = 0.88) was found in E. coli from litter and agricultural soil where litter was used as manure. In contrast, there was no E. coli found in control soil samples and only three E. coli were present in poultry farm soil samples. In case of Klebsiella pneumoniae and Staphylococcus lentus, such strong similarity was not observed in isolates from litter and agricultural soil. Only few isolates of Klebsiella pneumoniae were found in poultry farm soil and control soil. Most isolates from control soil were of Staphylococcus lentus which had high resistance but of statistically different pattern than those from agricultural soil. The conclusion of results is that poultry farms are reservoirs of multi-drug resistant bacteria and that resistance is moving from farms to agricultural fields in the case of E. coli. More studies are required to understand the behaviour of Klebsiella pneumoniae and Staphylococcus lentus in view of different sources of bacteria such as other animals and synthetic fertiliser and pesticides in the agricultural fields.